Square cut or pear shaped… if you want to invest in a diamond, our experts guide will help you buy the best. Know-How-What shape to choose + Where to buy + How much to spend…. What Shape? : Round cuts show diamond brilliance off the best, but marquise (diamond shaped) makes the diamond look bigger than it is. A jeweller can advise you on the robustness of the design, but the most popular shape is round. Others include emerald, pear, princess (square), oval and heart shape. How Much? : A high-grade, high-carat, flawless diamond can regain its value over time and even be worth more than you paid”. “But a lower-grade and badly cut diamond may chip and split over time, and become worth less. In terms of what to spend, tradition says that an engagement ring should be a month’s salary, so for grown-up investment jewellery and a high-quality stone, about this is not a bad guide. You definitely get what you pay for in terms of setting, so any ‘bargain’ or ‘deal’ should be regarded with some suspicion.” When you see very inexpensive diamonds in high street retailers, double-check they’re not cubic zirconias, white sapphires or moissanites. These are legally sold as diamond substitutes (and often they look just as good); however, they can be passed off as diamonds by less-than-reputable jewellers, but this is rare. It’s more likely that it’s just a lower-grade diamond with imperfections and tints that has been cleverly and tints that has been cleverly lit in the shops window to look whiter than it really is. Make sure you have a good look and ask for its certificate if you’re in any doubt. What Is The Best Sort Of Diamond To Go For? If you buy from an upmarket jewellers on the high street, bear in mind that the retail mark-up of your diamond could be anything from 50 to 500 per cent. But you do tend to get what you pay for. The setting of the stone will invariably be better made and better designed with higher-quality materials. And the quality jewellers will have insurance certificates and good after are too. What If I Want To Buy Diamonds “Loose”? Try the wholesalers in Hatton Garden in London or the Jewellery Quarter in Birmingham. Traders here more usually sell direct to retailers, so don’t expect sales advice or a snazzy shop front, but they will sell loose diamonds up to 50 per cent cheaper than the high street. Having a diamond set in a gold or platinum pedant or ring shouldn’t cost you much more than 200 to 400, but it could be double if you buy the ring “ready to wear” from a jewellers. Carat The weight and size of a diamond are measured by carats. One carat is divided is equal to 200mg. A carat is divided into 100 smaller units called points. For example, three-quarters of a carat is 75 points. Colour the most valuable and rare is white, or “colourless.” Jewellers grade absolutely colourless diamonds with a D (there is no A, B, or C). The scale moves up to Z and, between these two extremes, diamonds will display subtle coloured tones. Cut Each of the four Cs is important, but “cut” is the most crucial because it determines the shape and how good your diamonds will look; how the facets are angled and sized dictates its brilliance or “fire”. Clarity Clarity is not as important as you think in terms of value. Most diamonds have small “inclusions” which are invisible to the naked eye. As long as the stone is graded SI1 (Slightly Included 1) or better (best and most expensive is IF, or Internally Flawless; worst is I3, or Imperfect 3), it’s good quality. Always view the actual diamond you’re buying. Don’t buy the first stone you see; always compare with others. Always look at the diamond on a white background – black hides any flaws. Buy from a reputable known dealer or retail jewellers. 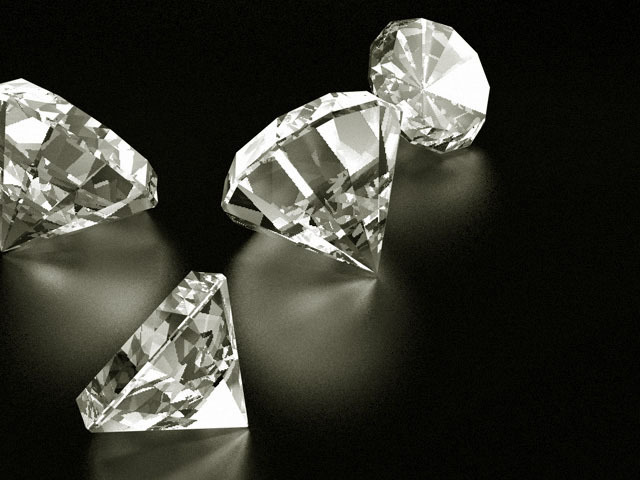 Beware “treated” diamonds or “clarity enhanced” – this means that a flawed diamond has been laser treated or irradiated to hide flaws and fill fractures. Don’t fall for “total carats”. Many high street jewellers advertise the total carats on a ring. Yet what counts is the carat of the individual diamonds. Five 1/10 carat diamonds are worth a lot less than one half carat diamond. How Do I Know If My Diamonds Are Ethical? The simple answer, unfortunately, is you don’t, despite measures introduced by the UN. It set up something called the Kimberley Process, which was to prevent profits from sale of rough diamonds being used to fund conflict and human right abuse. The process is controversial and is thought to have failed by respected human rights authorities. Polished diamonds are even harder to keep track of. Most suppliers will note on their invoices that the stones have been sourced in compliance with UN resolutions and are conflict-free “based on written evidence or personal knowledge.” We have little option but to trust them. 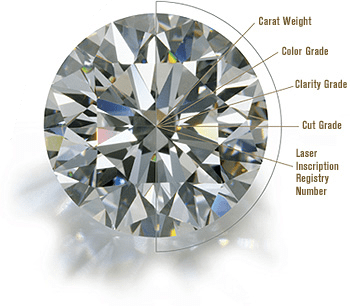 Request a “cert stone” – a diamond that has been assessed, graded and coded with a laser by an independent gemological laboratory. The most recognised are issued by GIA (the Gemological Institute of America). Others include HRD (The Diamond High Council, Antwerp). IGI (International Gemological Institute), EGL (European Gemological laboratory) and AGS (American Gem Society).